The London Eye is one of London’s most visited tourist attractions. For 3 years it was branded as the EDF Energy London Eye. 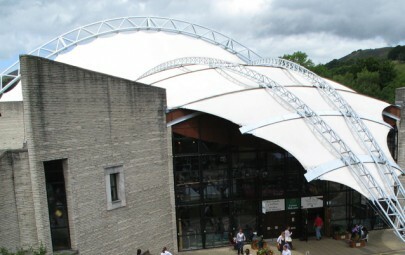 Last month the sponsorship completed and Architen Landrell was contracted to remove the existing entrance canopies and replace them with new ones. The main entrance to the London Eye can be accessed by boat or land and it offers unspoiled views of the city. 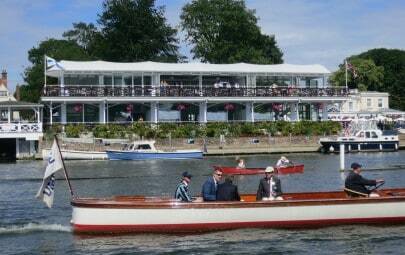 The entrance walkway is actually floating on pontoons above the water. 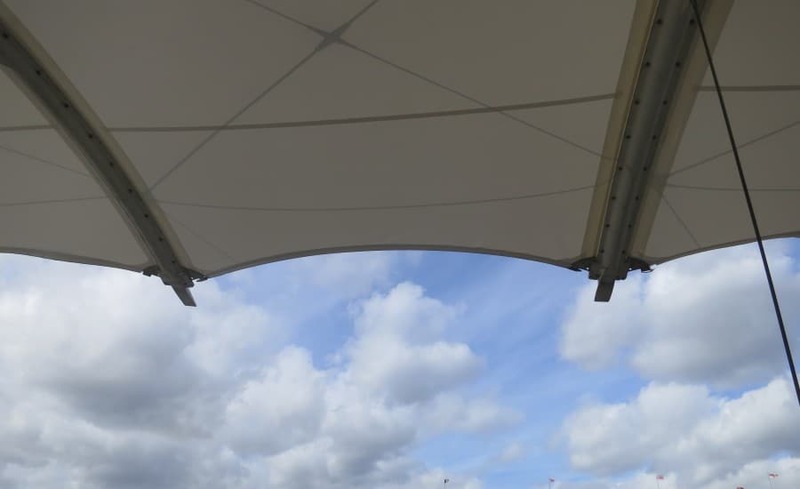 Keeping everyone dry and shaded is a PVC coated polyester tensile fabric canopy. 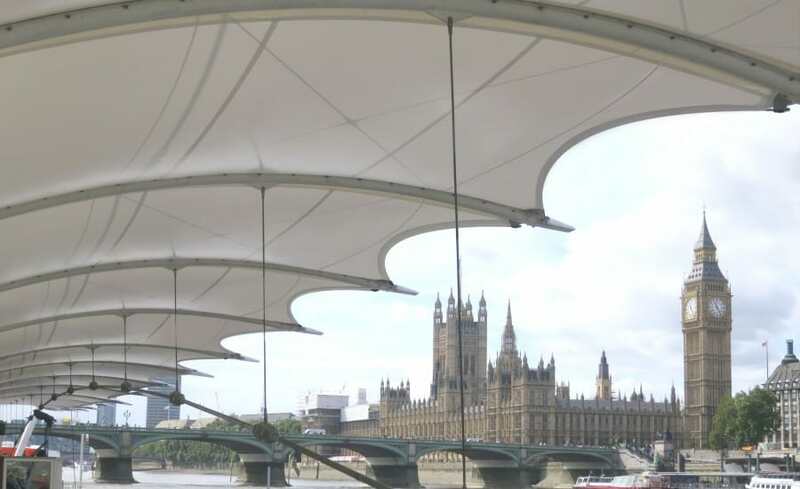 Architen’s role was to manufacture new fabric membranes, remove and recycle the existing fabric and install the new panels. In total, 18 panels were removed and reinstalled during the evening hours (after the attraction was closed) for a period of two weeks. 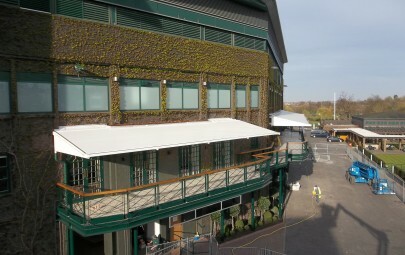 Business was not impacted by the canopy replacement. All fixings and the existing steel structure were able to be reused. Architen also removed all of the graphics from the existing steel structure. 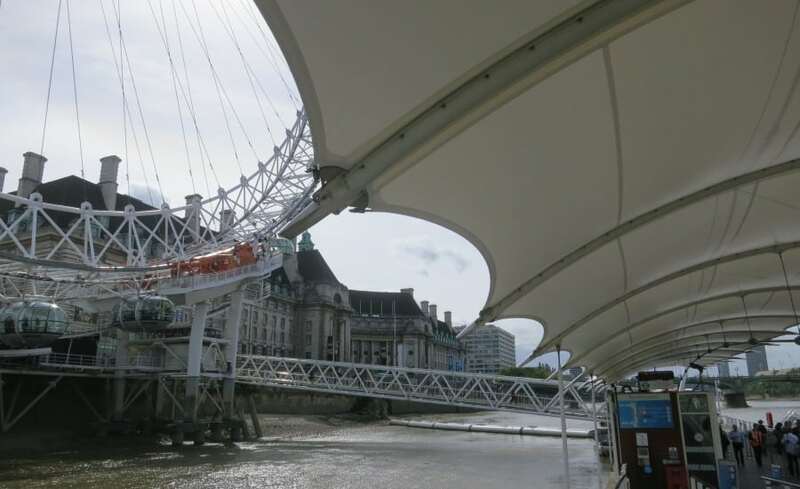 In order to reduce the ongoing expense of maintenance, The London Eye, opted for a special Nano Coating on the PVC coated polyester canopy. This coating is inspired by nature and works like the Lotus leaf. When water hits it, rather than wetting the surface, it forms tiny beads and runs off, taking any particles of dirt or pollution with it – every time it rains. The result is a bright, white, non-branded entrance canopy that looks elegant and will perform and last longer than the original canopy.